In trying to figure out any of Paul Mayer’s German relations, I looked at Elizabeth Seff, age 32. A sister, perhaps? Well, Seff is a surname that appears exactly nowhere else in Indiana hardly ever! As it turns out, while doing research at the Indiana State Archives, I was going through the 1862 draft registration book for Wayne County, IN, and stumbled upon a “Casper Zepf,” age 34! Hmm…no wonder I couldn’t find him on the 1870 census. However, I don’t know where he is buried either. The baptismal record of the son of Casper Zepf, Heinrich Casper Zepf born in 1862, sponsored by one Paul Meyer [sic]. 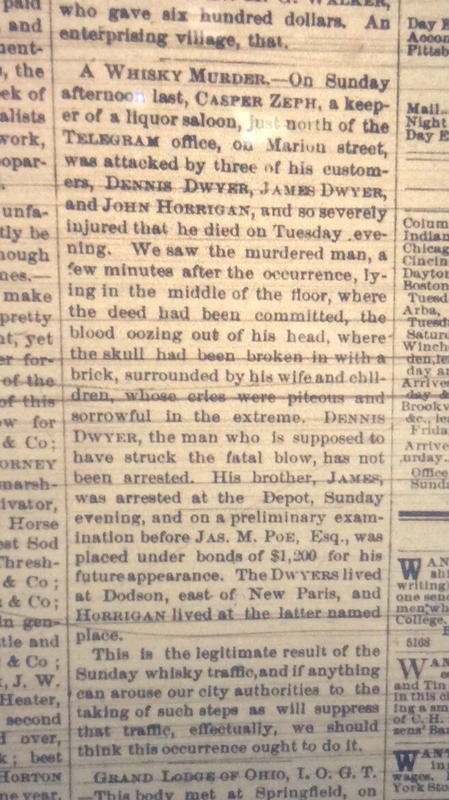 I pulled up the 3 newspaper articles regarding the murder of Casper Zepf, 2 written at the time of the incident in 1866 and 1 written in 1867. 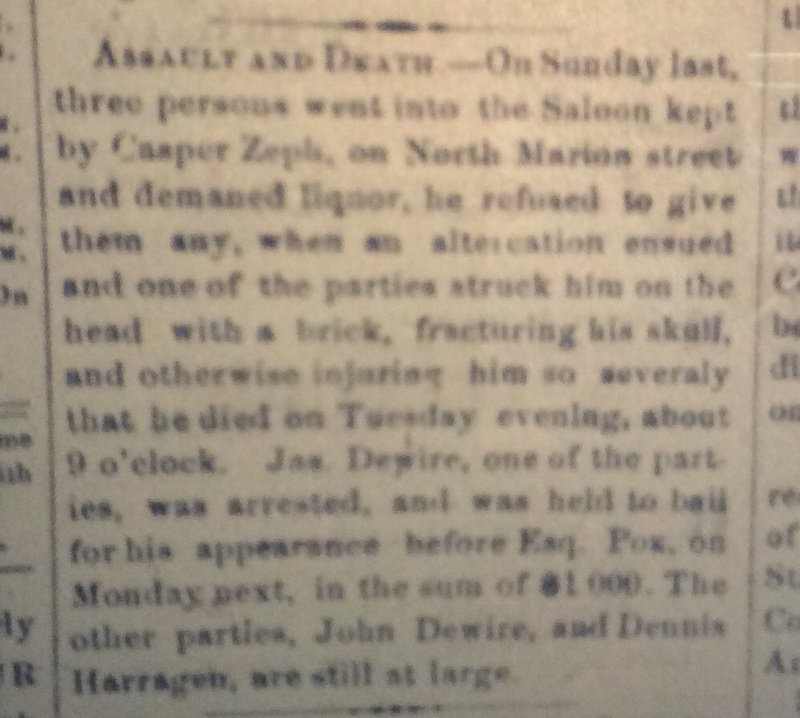 As it turns out, Casper Zepf owned a tavern in Richmond, IN, refused to serve three men on a Sunday, and the three men beat him to death, cause of death: a brick to the skull. However, about 6 months later, an article appears in the newspaper stating that the body of Casper Zepf had been disinterred because of suspicion that he might have been poisoned and they wanted to check his stomach contents. This raises a number of questions for me: Suspicion must’ve been high to actually exhume this man’s body 6 months after his murder so there should be some sort of court record? Did they embalm bodies in the 1860s? If not and the stomach and its contents were left intact at burial, could they even be reliably tested 6 months later looking for poison? Who suspected him of being poisoned and by whom? I’m going to need to research court documents for more answers. Regarding the baptismal notation above, my guess is Elizabeth was not a Mayer. Interestingly, I found who I think is her listed on the 1880 census, remarried and living in Wisconsin, with son Casper Zepf and daughter Mary Zepf who is 2 years younger than Casper on that census, plus an older son with a different surname. 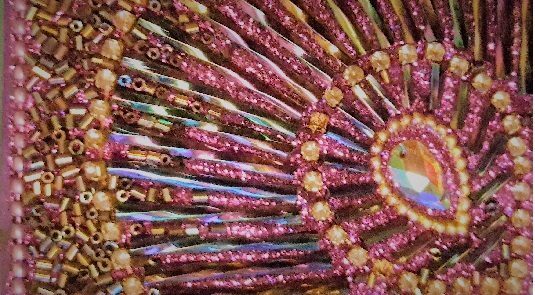 My question is: Do I continue to pursue this? Maybe Casper Zepf was just a friend of Paul Mayer’s? Maybe they met on whatever ship they sailed on to get to America? Maybe Paul Mayer just boarded with them? I imagine I’ll check the court records about the whole murder and then exhumation issue. There is also the question of Drapert Fullhart. I can’t find him at all after the 1860 census. I see in my future many hours spent at the Wayne County Courthouse! My apologies for the quality of photos; the microfilm printer was broke the day I visited the library, so I took pics of the screen.